Pressure is a natural phenomenon in life that can spring forth beautiful, planetary wonders. Then again, it can bring chaos and mayhem if not properly managed. Yet it is a necessary force that separates the weak from the strong, the real from the fake and the mediocre from the extraordinary. For as long as one can remember, the career of iconic rapper/actor Busta Rhymes has been filled with pressure. The pressure started with the dissolution of his once-promising rap group (Leaders of The New School) which forced him to go solo. It continued with his meteoric rise to stardom and the expectations of maintaining platinum status while continuing his creative upswing. Pressure even hit Busta with personal tragedies and unforeseen run-ins with law enforcement. However, throughout his career Busta has faced obstacles that would destroy the average MC's career. Clearly, Busta Rhymes is not your average, everyday, run-of-the-mill MC. Busta Rhymes knows how to manage pressure. As a matter of fact he thrives on it. It is one of the things that has propelled his explosive career into international superstar status. With his Universal/Motown debut Back On My B S, Busta Rhymes proves once again that even under the most extreme pressure, he will produce diamonds. 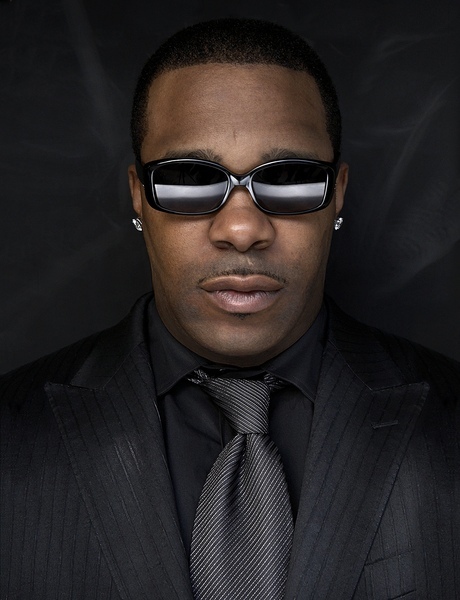 In addition to being one of the most important albums of his career Back On My B S also marks the reunion of Busta Rhymes and the legendary Sylvia Rhone (Universal Motown President), who was among the first to spot the animated MC's potential 20 years ago when she headed up Electra Records. “I think for me being back with Sylvia Rhone has a strong significance in every aspect of my career,” states Rhymes. According to Sylvia Rhone the reunion marks a return to the successful run the two shared in the early 90s. "I am thrilled to reunite with Busta and welcome him to the Universal Motown family," says Ms. Rhone. "It's a rare and wonderful opportunity to be able to sign an artist who is at once a musical icon while remaining completely forward-thinking. Busta is a true original and one of modern culture's most gifted voices and charismatic characters. His role in hip-hop history is enormous, and his new music ranks among the best work of his career. We had a great multi-platinum run together in the '90s, and I can't wait to do it again." Busta Rhymes began his professional career as a member of the Long Island hip-hop quartet Leaders of the New School (LONS.) in 1991 with their debut LP A Future Without A Past on Electra Records. The LP along with his stellar performance on A Tribe Called Quest's classic posse cut “Scenario” was a critically-acclaimed success and helped to establish Busta as one of hip-hop’s most exciting MCs. Unfortunately L.O.N.S broke up due to creative differences in 1993 shortly after releasing their sophomore LP T.I.M.E. (The Inner Mind's Eye). In 1996, Busta Rhymes unleashed his solo debut, The Coming, which featured the hit song “Woo Hah!! Got You All In Check.” The single was the first of 14 RIAA gold and platinum records with Electra as a solo artist and founder of Flipmode Squad. He would earn an additional five more on J Records and Aftermath/Interscope. His 2006 album, The Big Bang, debuted at No. 1 on the Billboard Top 200 album chart. In 2005 Busta inked a deal with Dr Dre's Aftermath label and the following year released his seventh album entitled The Big Bang. The Big Bang sold over 209,000 units in its first week and debuted at #1 on Billboard’s Top 200 Charts. It also became his highest charting album in the UK as well. 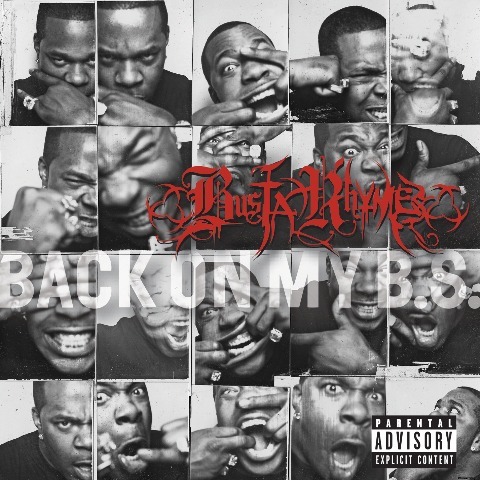 While all of Busta's previous work has been nothing short of spectacular, it pales in comparison to his Universal/Motown release Back On My B S.
Back On My B S, which features production by Ron Browz, Cool & Dre, Ty Fyyfe, Focus, Pharrell, Mr. Porter, Jelly Roll, long-time collaborator DJ Scratch, and guests appearances by some of today’s premiere hip-hop and R&B recording artists including Common, Mary J. Blige, Jamie Foxx & John Legend (Decision), T.I. & Akon (Don’t Believe Them) and Estelle (World Go Round), Back On My B S represents a return to basics for Busta Rhymes. Nowhere is this more evident than on “Arab Money,” the LP’s searing lead single produced by Ron Browz, which is built around a pulsating drum track, rhythmic horns and eastern strings pays homage to the culture of the Middle East. “Hustler's Anthem 09” featuring T-Pain with it's booming bass line and funky hand clap beat stands out as a street anthem dedicated to the men and women who hustle on daily basis to enjoy the good things in life. Keeping with this theme Busta delivers the dark and gritty joint “Respect My Conglomerate” featuring Lil Wayne and Jadakiss and produced by Focus. “Respect My Conglomerate” is centered around an infectious beat, Gothic strings, a brooding piano and hypnotic strings that create a track that is irresistible. Overall Back On My B S is a spectacular, possibly career-defining album that is sure to dazzle his deep-rooted fans and win over many new ones as well.